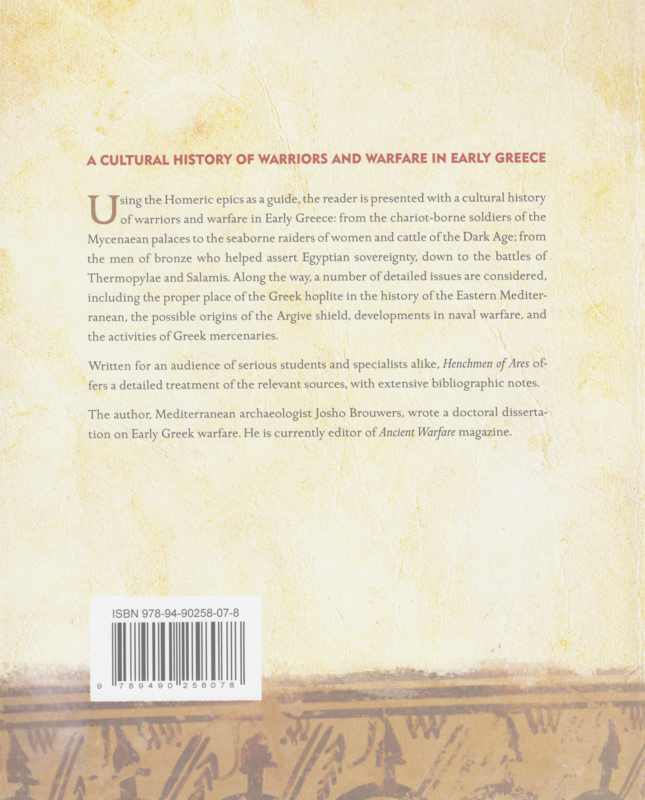 A cultural history of warriors and warfare in early Greece. Using the Homeric epics as a guide, the reader is presented with a cultural history of warriors and warfare in Early Greece: from the chariot-borne soldiers of the Mycenaean palaces to the seaborne raiders of women and cattle of the Dark Age; from the men of bronze who helped assert Egyptian sovereignty, down to the battles of Thermopylae and Salamis. Along the way, a number of detailed issues are considered, including the proper place of the Greek hoplite in the history of the Eastern Mediterranean, the possible origins of the Argive shield, developments in naval warfare, and the activities of Greek mercenaries. 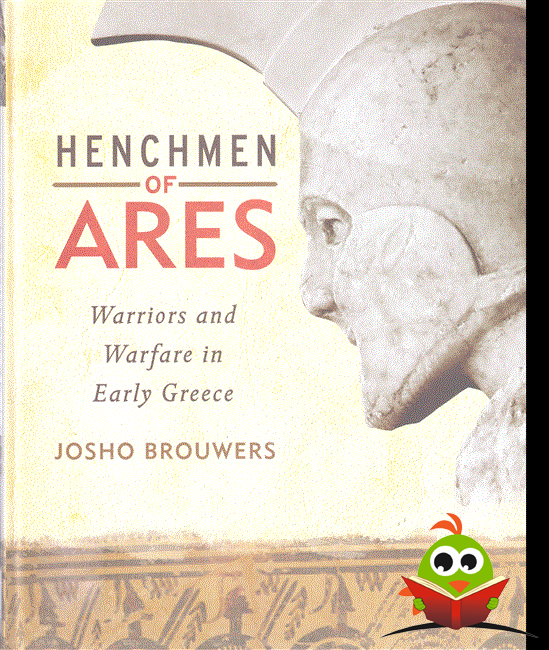 Written for an audience of serious students and specialists alike, Henchmen of Ares offers a detailed treatment of the relevant sources, with extensive bibliographic notes. The author, Mediterranean archaeologist Josho Brouwers, wrote a doctoral dissertation on Early Greek warfare. He is currently editor of Ancient Warfare magazine.